Australians are a travel-hungry people generally, not content to sit on this hot, boring little island for too long at any one time. So we generally go overseas and sit on hot, boring little islands there, because it’s interesting and the people are fun and the food is better. Also we can collect those little bottles of soap and hair conditioner that you find in nicer hotels. Because, let’s face it, you never know when you might ten millilitres of runny, fifteen-year-old shampoo from a bottle that is older than all three of your children. Merry Christmas, my fellow book lovers! Now that the Festive Season is drawing to a slow, quiet end, I thought I’d share some more from my trip. I’ve spent the last few days in Europe visiting family. I’ve been without internet, which can be both liberating and stressful. If you’re the sort of person who checks the weather intermittently on their phone (as though by checking it every five minutes you can somehow control it), or can’t keep track of their spending without firing up a Google Doc, you’ll understand why I use the word ‘stressful’. But that’s not why I’m here today. I want to talk about my last day in Dublin, which was actually much more than a week ago (but let’s pretend I’m more organised than that and I wrote this up sooner). We managed to get quite a few exciting literary-themed activities into the day. Our two main writers for the day were James Joyce and W.B. Yeats. 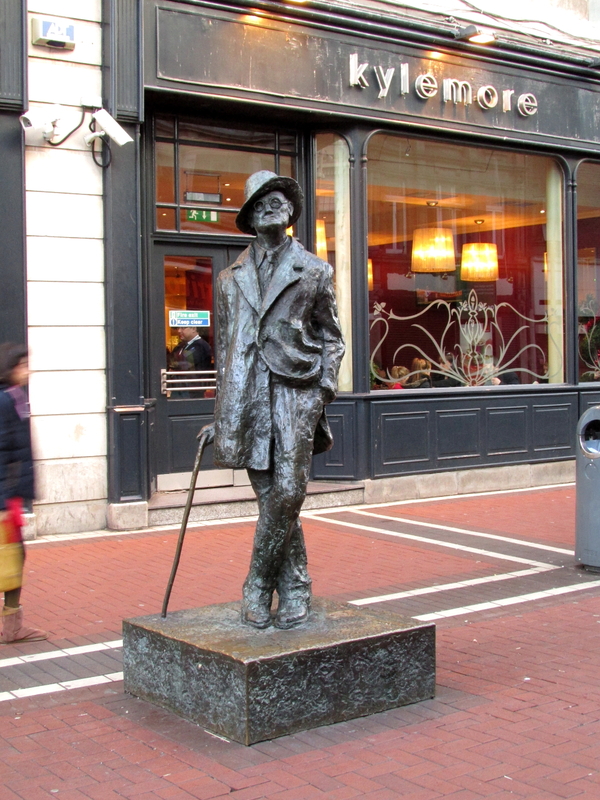 Yes, this dapper statue of the famous James Joyce is here to tell you that I have left behind the sweltering heat of December in Australia to potter around Europe with my sister, a handful of books, and not nearly enough winter clothing to keep an ordinary human being from contracting pneumonia. Throughout my trip I’ll be sharing stories from some of the literary places I visit, including writers’ homes, literary museums, and – of course – bookshops. My first stop is Dublin, Ireland’s capital and a UNESCO City of Literature. This, to me, sounds like an appropriate place for a eager lit major to start. So after one full day in Dublin (half of which, admittedly, was spent in a blissful jetlag-induced haze), what have I learnt about the city’s approach to literature? Well, for one thing, they like to make jokes. Specifically, they like to make jokes about Ulysses, James Joyce’s behemoth of a book set in early twentieth-century Dublin. They are proud of it and amused by it in equal measure. It’s hard to hate a book that really put Dublin on the literary map, even if Joyce actually wrote most of it in Switzerland and France, where he ended up living until his death. 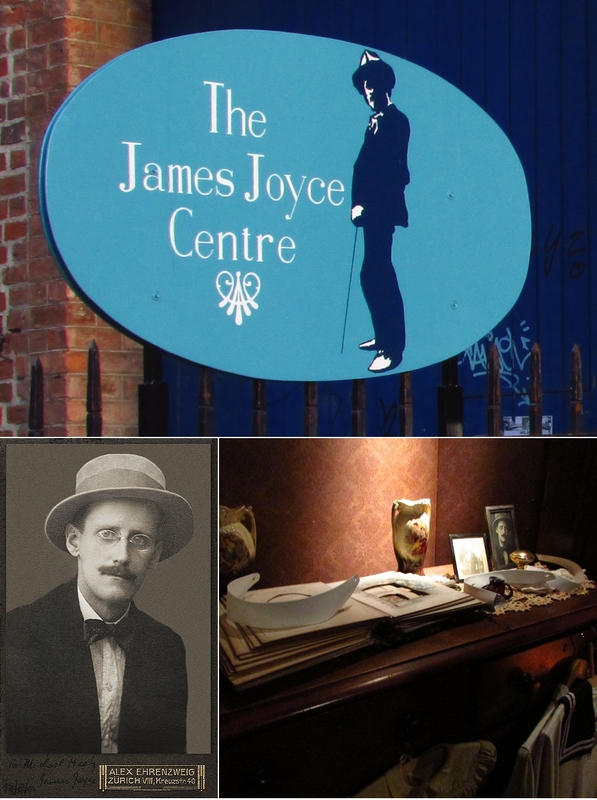 Still, you’d never guess from the number of statues, museums, and mentions Joyce receives in Dublin. 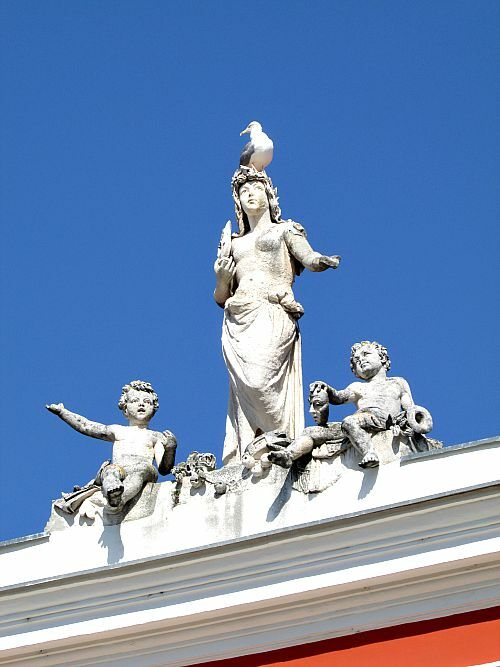 There’s more to Dublin than just James Joyce, though. Ireland has a rich storytelling history which was highlighted in our first museum of the day: the National Leprechaun Museum on the city’s north side. Now, I know what you’re thinking. A museum dedicated to leprechauns? This is something to see.